You should edit your original question to include the screenshots that you have mistakenly posted as a reply. 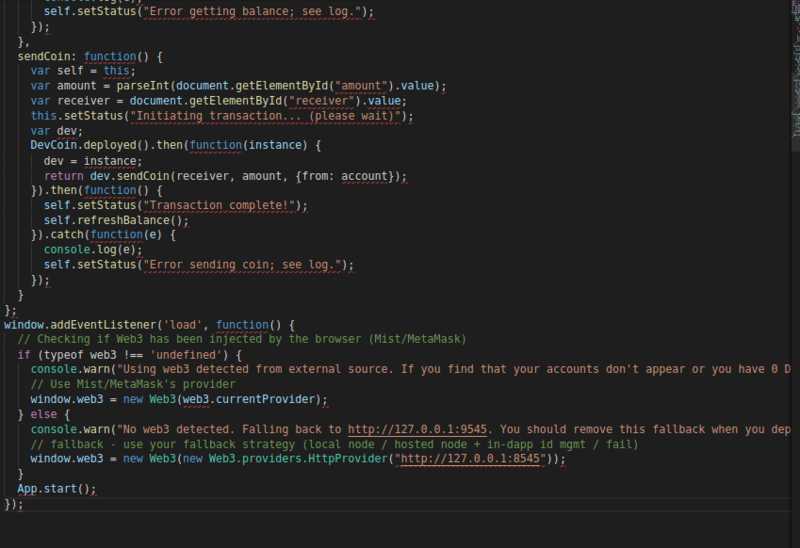 You should refrain from posting images of code, and post the actual code instead. Code cannot be copy & pasted from images making it much more work for an answerer to type out a reply. Change the smart-contact to apportion the result of the Oraclize query as a balance for account. An issue with Option 2 is that you'll need to know the address of account before hand, and hard code it into your contract. This isn't ideal, so we'll go for Option 1 instead. 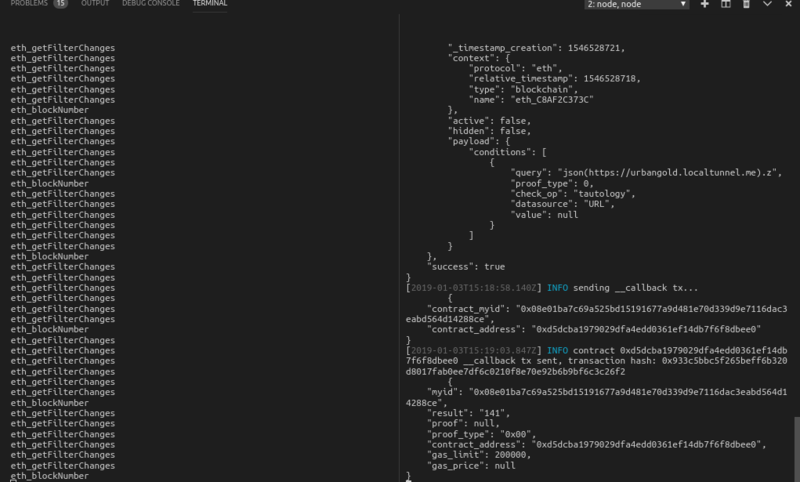 Now it'll be querying the z variable, and returning the result to the balance span in the html. 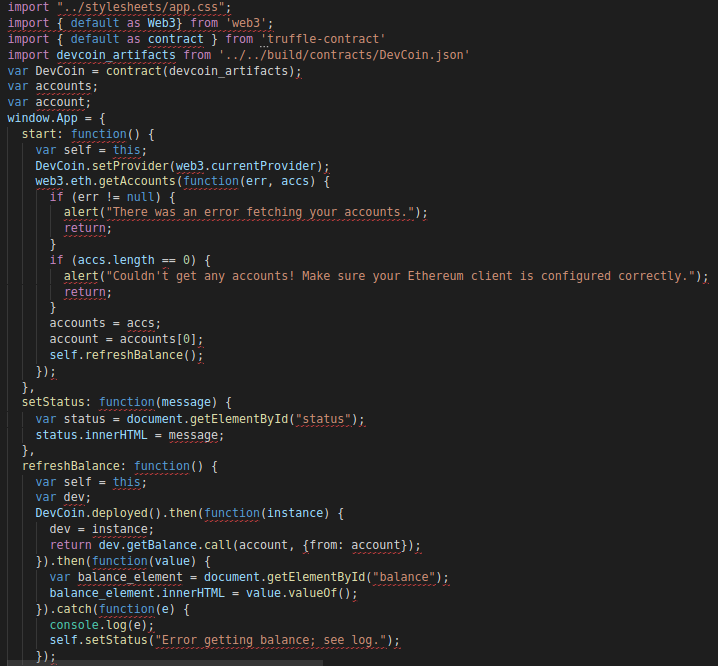 The sendCoin functionality should already work, looking at the code. However, looking at the smart-contract, no account ends up owning any of the coin in order to send any. 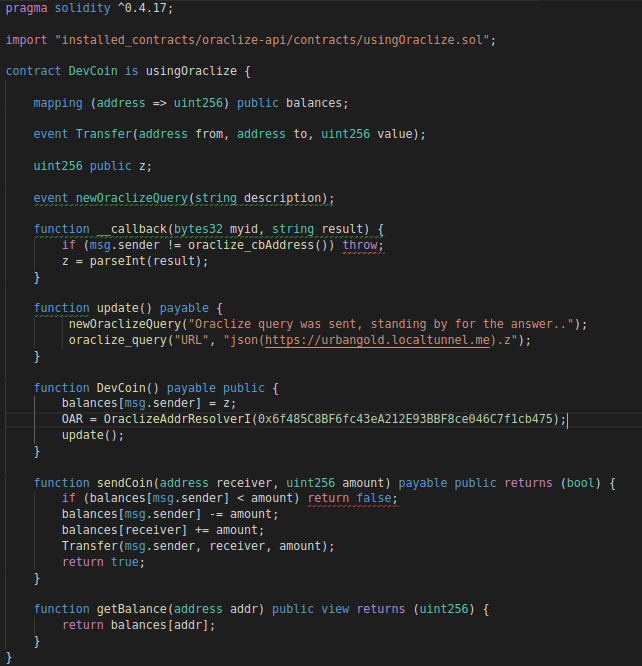 The constructor function gives the deployer ([msg.sender]) an amount of coins equal to z. However the contract begins life with z = 0, and so ∴ msg.sender also has none. Congratulations! [msg.sender], who in this case is Truffle account, has a million DVC! Now when you use the send functionality in your DApp, you'll have some coins to send! Not the answer you're looking for? 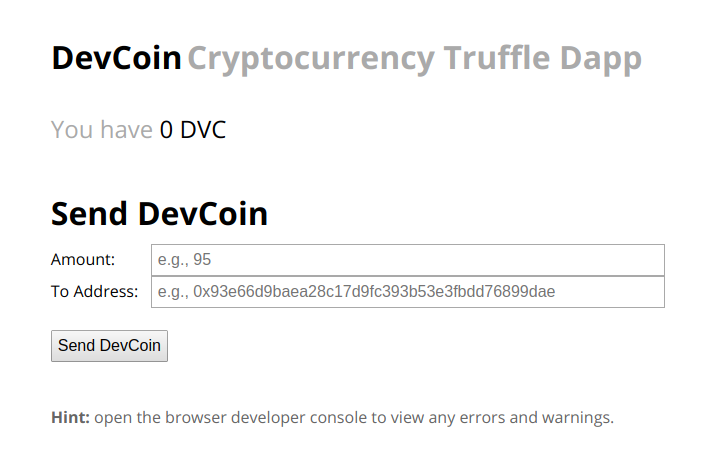 Browse other questions tagged truffle dapp-development dapps oracles ganache or ask your own question. 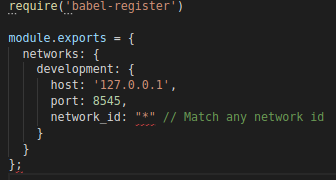 How to fetch specific data based on user input from url using Oraclize?